If you have something to say, Videonations can enable you to say it louder and clearer than ever before. As a market leading supplier and installer of video wall technology from the world’s leading manufacturers, we can help you to make an enormous impact in your communal spaces. Video walls in high definition relays targeted messages that simply cannot be ignored, allowing you to engage with customers, visitors and staff alike. To find out more about the forefront of video wall technology, please contact us today. With over 15 years’ experience of providing bespoke audio visual solutions to organisations within corporate, healthcare, banking and retail sectors we realise that every business has its own specific requirements. Through initially assessing your individual needs, we will implement a bespoke solution that is tailor-made to your requirements. Furthermore, we are an independent supplier of state-of-the-art video wall technology. Therefore, we are not tied to just one particular brand. No matter how large your audio visual requirements may be, we can provide you with the very best technology available at the best price. More than just a supplier of video wall technology, we deal with every aspect of the process. Everything we do is geared towards making your life easier and we can implement a total solution that encompasses everything from systems design and installation through to maintenance. Our expert team of dedicated technicians have vast experience of installing seamless video walls to create the perfect canvas on which to showcase content. 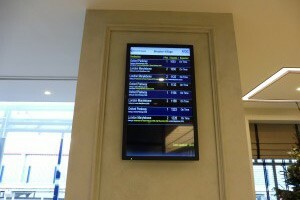 Furthermore, we have expanded our wide range of pixel perfect video wall solutions to include screens that can be floor or wall mounted, custom-built or stand alone, with no fixing required, which means that there are endless possibilities for how the technology can be used – even within a confined space. The flexibility and functionality offered is unparalleled with the option of displaying full LED resolution and featuring multiple videos at once. We can construct video walls of any size in creative ways that allow information and customised content to be displayed in crystal clear, bright and inviting images that fully captivate your audience. In addition, Videonations offer you the flexibility to choose your own bevel size; whether it is slim or ultra slim, giving you the power to choose what works best for you. The University of Nottingham Students’ Union and Portland building had both been redeveloping their branding, updating the look and feel to represent their vibrant student community, and to provide the services students had asked for. 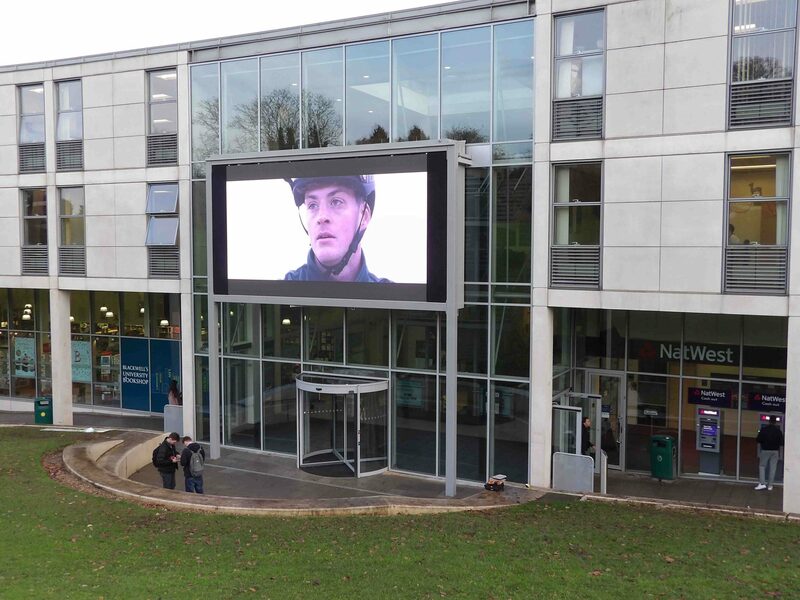 As part of the redevelopment of the Portland building, Videonations were approached to provide a solution to advertise the University’s and Students’ Union’s updates and activities. A 6m LED video wall was installed complete with an impressive 8 speaker audio system. Download the pdf case study here. 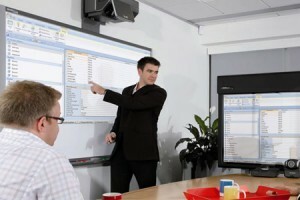 Maximise and digitalise your meeting room usage with a state of the art Meeting Room Management System. View our digital signage solutions for shops, airports, public spaces, transportation hubs and businesses. 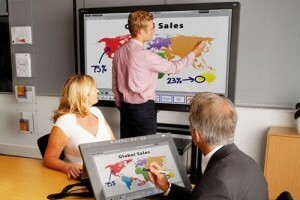 The latest in Interactive screens for schools, universities, medical centres and the corporate world. View, book, extend or cancel meetings with a room booking system. 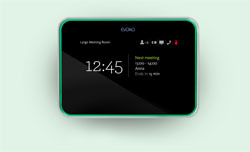 Use the touch screen pad or email client for maximum flexibility.